It has also been alleged that the colleges neither called any applicant for an interview nor returned their money. NEW DELHI: Several Delhi University colleges have been accused of collecting application fee more than once from those aspiring to join the institution as assistant professor. 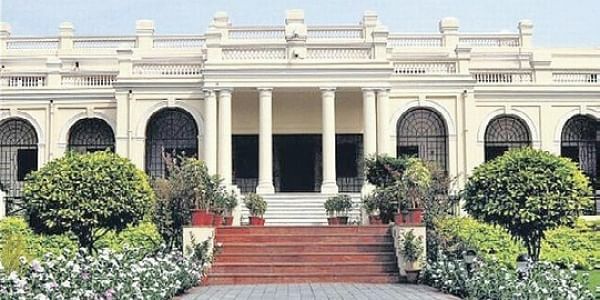 While DU's Dean of Colleges Devesh K Sinha said he did not have data about the number of applications received and money submitted, Academic Council member and professor of Sri Aurobindo College Hansraj Suman said there was a huge sum of "unclaimed money" collected as application fee. "Nearly 40 colleges advertised for recruitment to the posts of assistant professors two years back with a fee of Rs 500 for general category and Rs 250 for OBC, SC/ST and handicapped aspirants," Suman told PTI. Neither the applicants were interviewed nor the fee was refunded, he said, adding that after the new vice-chancellor took charge in February 2016, the SC/ST and women candidates were exempt from submitting fee. "The colleges have the addresses of every applicant and can always send cheques to the applicants if they want to refund," Suman said, adding he had also raised the issue during the Academic Council meet. Responding to the allegation, Sinha told PTI he would look into the issue and direct colleges to arrange for refund. Delhi University Teachers Association President Rajib Ray said there are colleges that have advertised twice or thrice for the same post but did not interview anyone. "Ethically, one should call for interview or refund the money. After 18 months, there is another advertisement for the same post. At least they should exempt applicants who have already paid the money," Ray said. The DUTA president said very few appointments took place since 2015 and the number of applications received are as high as 7 lakhs. "Since 2015, interviews have taken place in very few departments of merely eight to nine colleges. Both colleges and university have been maintaining a lackadaisical attitude," he said. The DUTA said it has raised the issue in executive council meetings as well. The Academic Council is a body which takes all academic decisions of the university. These decisions come into effect after being approves by the executive council.